There was a time not that long ago when Burlington and the surrounding music scene was firmly encrusted in granola. Following the 1990s indie-rock bloom, Deadheads and Phish fans spread like wildfire, staking their claim to the Queen City's genre throne. (Said throne exists. It's made from thousands of guitars and turntables stuck together, à la the Iron Throne from "Game of Thrones.") Eventually, the scene opened up and moved back toward eclecticism. But the ghosts of those days linger on stages all around the city and state. Jam music still holds a firm influence on the local scene, in Burlington and beyond. Johnson's Drunk & In the Woods are one such band carrying the tie-dyed flag onward, as evidenced by their recently released self-titled EP. But by skewing hard toward funk and, at times, even jazz, the septet reveals ambition beyond regurgitating tired jam templates. Front woman Emily Jane Haley sings with weathered beauty; her distinctive timbre steers less dynamic songs away from cliché. Along with the horn section of Will Pearl, Sonja Poirier and Brad Schauerman, Haley helps elevate the band above its occasionally generic sound. Skill abounds on the EP. Arrangements are tight and the production adequately captures the band's full sound as well as Haley's voice. Rarely do Drunk & In the Woods sound like a band without aim. They know exactly what they are: a rollicking live act that can get the fans dancing. They've strived to put that sound and energy on record. The problem is that much of the music here could be heard coming from a thousand summer festival stages. For every highlight such as "Metaphysical Funk," with its Sun Ra horn vibes and Henry Clark's snarling electric mandolin, there are songs such as "Goeie Klank" and "Dead Battery." Just as things start to get interesting, the band devolves into so much noodling, you think you're in a ramen restaurant. That frustration is amplified by the efficient excellence of "Don't Fade Away," the EP's standout and closing track. Here the band moves effortlessly into smooth funk, sensuously grooving under Haley's melody as she sings, "You are the one thing that has got to stay / don't fade away, not tonight." Moments such as these elevate the band out of conformity and allow us to see Drunk & In the Woods' potential. Here's hoping they continue moving in that direction. 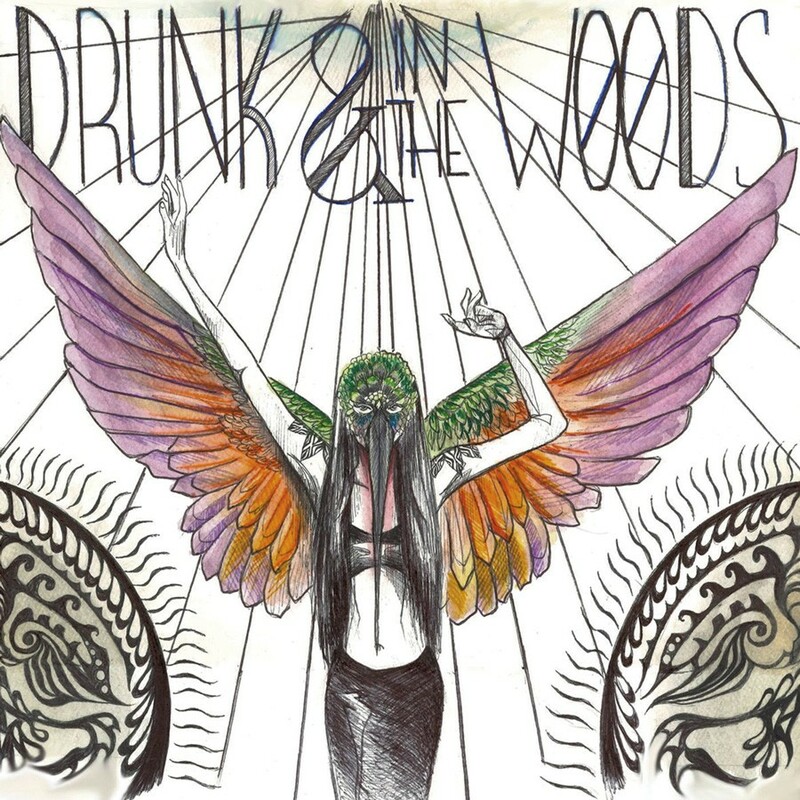 Drunk & In the Woods' self-titled EP is available now at drunkandinthewoods.bandcamp.com. The band plays on Wednesday, November 16, at Nectar's in Burlington.